So Little Room was made for a contest that limits the hack to 20 in-game rooms plus one boss room. SLR fits within those limitations, and was released on September 1st, 2013. 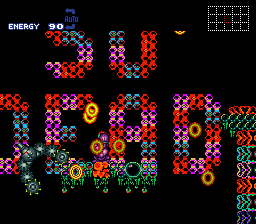 The game takes place entirely within flashing bubbles, the boss has Rinkas everywhere, and finishing the hack may be a huge hassle. Despite all the evidence otherwise, the hack is indeed beatable, even if it does lack any real hint of where you are and where to go. 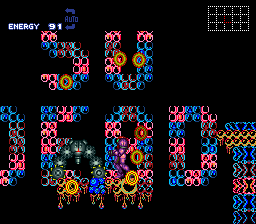 Despite the frustration and potential seizure causing rainbow bubble effect, this is a nice hack to kill a minute or two. No real skill is needed other than patience. Once the boss is defeated, you will enter a maze that really has no hint at all. Just keep going and you'll beat it. Frustration ahoy! Death ahoy! Retarded maze ahoy! Also lag. But I like Tetris music and rainbows, and the small size of the hack, so I can actually give this a whopping 3 stars.